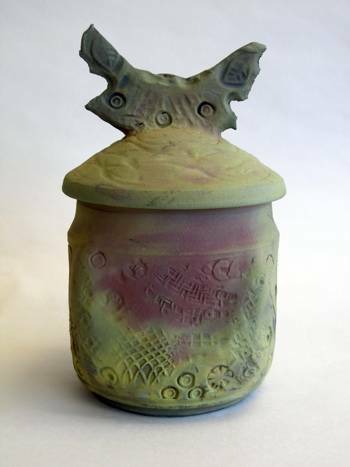 generally raku fired and often combined with mixed media. Currently, his high fire functional pottery is reduction gas fired to cone 10 (2345 degrees Fahrenheit). 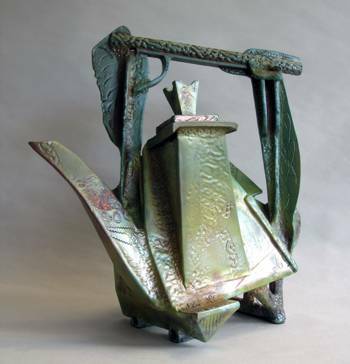 Jerome’s raku pieces give one a sense of timeless antiquity in color and feel. His use of self designed impression tools gives his work a definitive signature and visual stimulation. 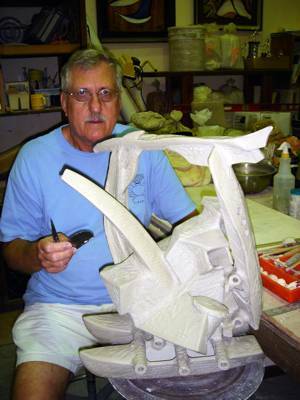 His artistic goal is to create strong pieces that will be enhanced by the magic of the raku firing. 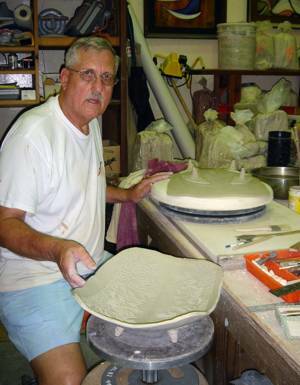 Jerome continues to explore the many facets of clay, glaze and firing techniques in search of the excitement that comes with discovery. He grew up in rural South Dakota and received his Bachelor of Science in Industrial Arts at Northern State University, Aberdeen, South Dakota. During his years as a career Naval Explosive Ordnance Disposal Officer he earned a Master of Science degree in Oceanography at the Naval Postgraduate School, Monterey, California. 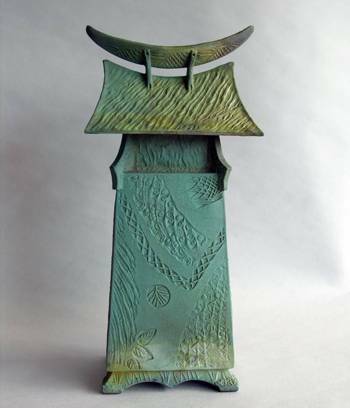 Jerome has been honored with four purchase awards by the Hawaii State Foundation on Culture and the Arts and has won numerous awards in juried exhibitions. 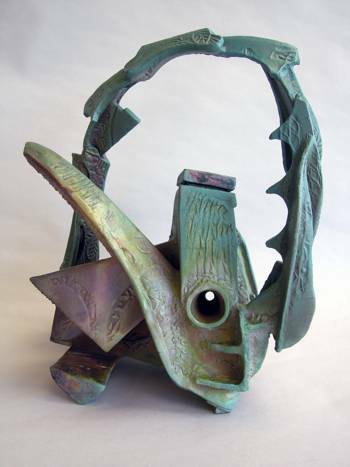 Jerome’s work was selected and published in two books by Tim Andrews, RAKU- A Review of Contemporary Work (published 1994) and Raku second edition (published 2005). Both books include raku artwork and information from many renowned artists throughout the world.